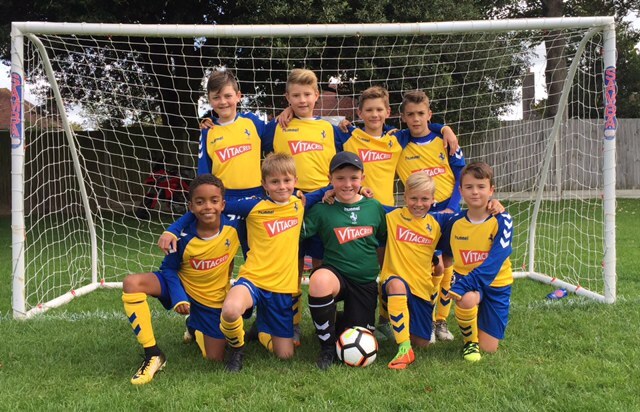 Vitacress are delighted to announce sponsorship of Felpham Colts U10s football club. The squad of nine, based in Bognor Regis, will be sporting a new yellow and blue strip with the Vitacress logo on the front, and the players will also have matching tracksuits and rain coats. Felpham Colts is one of the largest youth football clubs in West Sussex. As part of the new sponsorship, Felpham Colts will be doing a collection on behalf of Vitacress for Chestnut Tree Children’s Hospice near Arundel, a charity which Vitacress supports. Vitacress will be matching any funds raised.